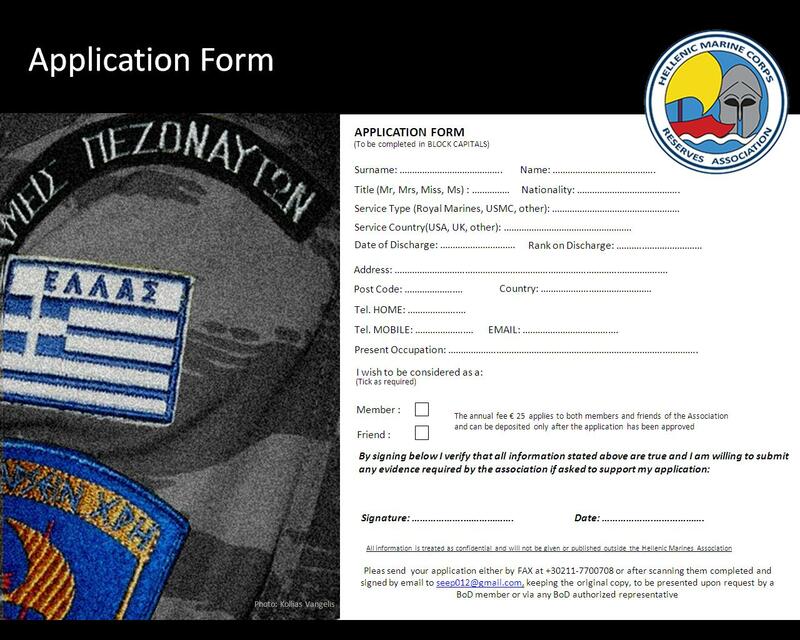 Marine Reservist Associations from Greece and USA sign affiliation agreement. Marine Reservist Associations from Greece and Spain sign affiliation agreement. Athens, Greece– The Hellenic Marine Corps Reserve Association and the Associacion Nacional De Veteranos Del Real y Glorioso Cuerpo de Infanteria De Marina De La Armada Espanola 1537, concluded an affiliation agreement on May 16.2013. This agreement, will guide the establishment of strong relations between the two organizations. Relations which are based upon the interchange of ideas, philosophy and values, and highlight the esprit de corps of Marines internationally.